Radicals is an exploration of the individuals, groups and movements rejecting the way we live. 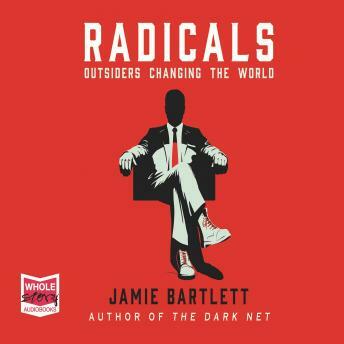 Jamie Bartlett takes us inside the worlds of innovators, disruptors, idealists and extremists who think society is broken, and believe they know how to fix it. Radicals introduces us to techno-futurists questing for immortality, far-right groups seeking to close borders, environmentalists striving to save the planet, libertarian movements founding new countries, autonomous cooperatives in self-sustaining micro-societies and psychedelic pioneers attempting to heal society.